The men tasked with leading the Iroquois Nationals at the 2019 Federation of International Lacrosse World Indoor Lacrosse Championship are now in place. Curt Styres will serve as general manager of the team while Rich Kilgour returns as head coach. Kilgour was behind the bench in 2015 when the Iroquois Nationals finished second to Canada, falling 12-8 in the Championship Final. The team went 4-2 at the Championship, with both losses coming at the hands of Canada. This also marked the fifth consecutive time Iroquois Nationals and Canada played in the final with Canada prevailing each time. “I was hoping I would get another shot at it (and) thank God they picked me again. I love having another chance to bring that world championship back for the Iroquois Nationals,” Kilgour said. 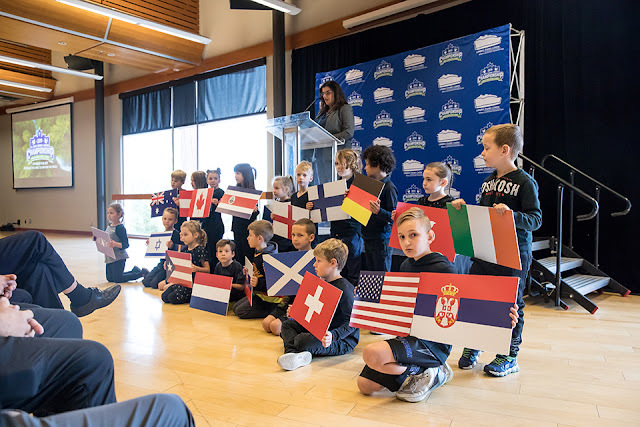 They will be one of 21 teams competing at the 2019 FIL World Indoor Lacrosse Championship from September 19 to 28 at Langley Events Centre. That will be a record number of teams who take to the floor at the Championship, up from the 13 who competed in 2015. Eight teams will make their debut at the 2019 Championship with Austria, Costa Rica, Hong Kong, Mexico, Poland, Netherlands, New Zealand and Sweden joining the fray. They join returnees Australia, Canada, Czech Republic, England, Finland, Germany, Ireland, Iroquois Nation, Israel, Serbia, Switzerland and the United States. Slovakia is also back in the mix after skipping the 2015 event while Scotland makes their return for the first time since competing at the inaugural Championship back in 2003. Kilgour joins Styres on the staff and the pair have combined to capture seven National Lacrosse League titles. Kilgour currently coaches in the NLL with the Buffalo Bandits while Styres is the owner and general manager of the team’s division rival, the Rochester Knighthawks. He has owned the Knighthawks for 10 seasons and been general manager for eight, earning accolades along the way. “It’s a great opportunity for our program to have somebody of the caliber of Curt coming on board. As for which players might be on the final roster, the four Thompson brothers would love nothing more than another chance to go for gold. Miles, Lyle, Jerome and Jeremy Thompson all represented the Iroquois Nationals three times: at the 2014 and 2018 Field Championship and at the 2015 Indoor Championship. In the NLL, Jeremy plays for the Saskatchewan Rush, while his three siblings suit up for the Georgia Swarm. Jeremy has a pair of NLL titles on his resume (2016 and 2018) while the other three were part of Georgia’s 2017 title. What would happen if Team Australia faced off against Team Canada? That was the question posed to Adam Smith about which country his two young sons would cheer for should Australia and Canada find themselves lined up across from one another at some point during this September’s World Lacrosse Championship during the 10-day competition at Langley Events Centre. The hypothetical dilemma stems from the fact the boys – Harrison, who turns five in November and Ryker, who turned two in March – were born in Canada and are too young to fully comprehend the family’s Australian heritage. Smith is equally proud of both his Canadian and his Australian heritage. The biggest field ever in the history of the Federation of International Lacrosse (FIL) World Indoor Lacrosse Championship is set to take the stage in less than one year’s time. A record 20 countries will look to go for gold next September with Langley Events Centre as the venue when the Championship will be contested for the first time on the West Coast. The event runs September 19 to 28, 2019 with Langley Events Centre as the primary venue, and the LEC Fieldhouse and Aldergrove Credit Union Community Centre serving as secondary locations. This will the fifth edition of the Championship, which is held every four years, and Canada is gunning for a fifth consecutive gold medal having beaten the Iroquois Nationals in the Championship final all four times. The United States have also made the podium in each of the four events, taking the bronze medal. Retired from professional lacrosse, the lure of playing at a World Championship less than an hour from his hometown was too good of an opportunity to pass up for Andrew McBride. 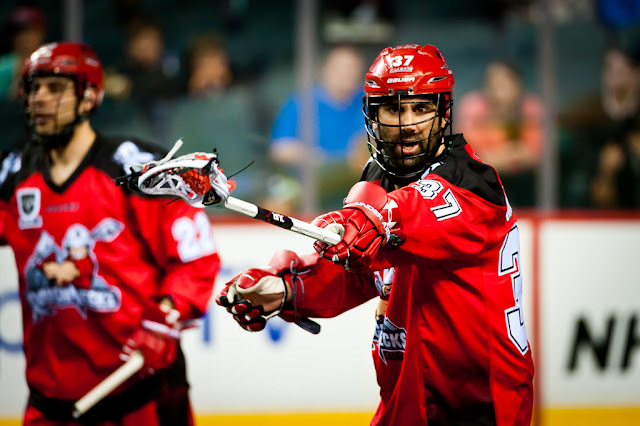 McBride called it a career following the 2014 National Lacrosse League season, following a 182-game career, all for the Calgary Roughnecks. That also included another 23 playoff games and a pair of NLL titles (2004 and 2009). But come September, the 36-year-old will be back on the floor, serving as a veteran presence with the Irish National Team at the 2019 Federation of International Lacrosse World Indoor Lacrosse Championship. His coach with Ireland – who was also part of the Roughnecks staff when McBride was on the roster – knows just how valuable McBride is to the team.